Researchers from Harvard Medical School found there is no correlation between achy joints and rainfall. 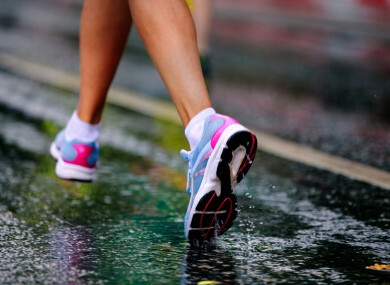 RAINY WEATHER HAS long been blamed for achy joints. However, researchers have found that there is actually no link between rainfall and joint or back pain. The notion that certain symptoms and weather go hand in hand has persisted since antiquity. The belief has endured over the centuries and well into the present, likely fueled by a combination of folklore and small studies that have repeatedly yielded mixed results. After years of belief, researchers from Harvard Medical School just debunked the myth. The newly published researched in the BMJ used a “big data” approach, linking insurance claims from millions of doctor’s visits with daily rainfall totals from thousands of National Oceanic and Atmospheric Administration weather stations. “No matter how we looked at the data, we didn’t see any correlation between rainfall and physician visits for joint pain or back pain,” lead researcher Anupam Jena said. The study examined Medicare records of more than 11 million primary care office visits by older Americans between 2008 and 2012. The answer to all of the questions asked showed no meaningful link between joint pain and rainy weather. Overall, 6.35% of the office visits included reports of pain on rainy days, compared with 6.39% on dry days. “It’s hard to prove a negative, but in this flood of data, if there was a clinically significant increase in pain, we would have expected to find at least some small, but significant sign of the effect. We didn’t,” Jena said. The human brain is good at finding patterns, Jena noted, and these beliefs are often fulfilling. If you expect your knee to hurt when it rains and it doesn’t, you forget about it, but if it hurts and you blame it on the rain, it tends to stick in your mind, Jena said. “As physicians, we should be sensitive to the things our patients are telling us. Pain is pain, with or without rain,” he said. Email “Myth debunked: Rainy weather does NOT cause achy joints and sore backs”. Feedback on “Myth debunked: Rainy weather does NOT cause achy joints and sore backs”.